I owe this ponder to http://violetwisp.wordpress.com/ for kindly alerting me to the effect of solar activity on our brain. Decades spent living in a rain forest left little doubt as to earthly weather’s impact on mood – SAD (seasonal affective disorder) a recognized affliction during gloomy west coast winter has doctors recommending sun lamps along with anti-depressants. It hadn’t occurred to me space weather played a part in mood. The Pineal Gland in our brain reacts to electromagnetic charges. Solar flares and resulting CME’s (coronal mass ejections) are bursts of magnetically charged plasma hurled into space at mind boggling speeds. Our magnetosphere protects us from radiation, most of us blissfully unaware of geomagnetic storms, disrupted radio waves or power fluctuations. Poor pineal gland can’t do the same – highly sensitive to electromagnetic energy, it goes into overdrive producing excess Melatonin. Melatonin is a natural sleep inducing substance, our “circadian rhythm” goes haywire and grumpy, irritated, moody, depressed or anxiety ridden people emerge. 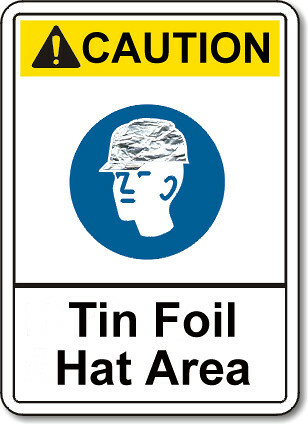 My interest in space weather has led to more than a few rolled eyes and jokes about tin foil hats. I’m not bothered by snickers, more frustrated and annoyed at those who ignore the power of the cosmos. I’m waiting for those same people to use “electromagnetic disruption” as a defense for bad behaviour. 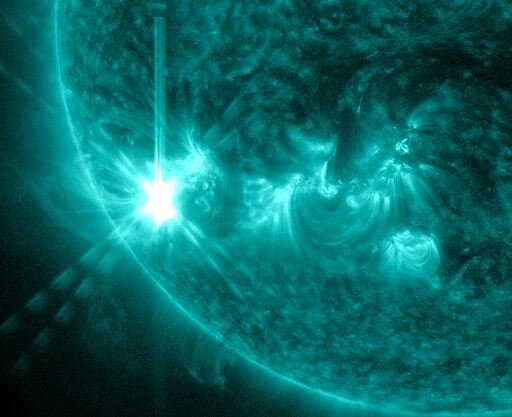 For anyone with a shred of interest regarding space weather – sunspot AR 1654 now has a 65% chance of M-class and 10% of X-class flares in the next 24 hours. And yes – it is getting closer to being earth directed. It would warm my heart to know that others checked in with our Sun each day. 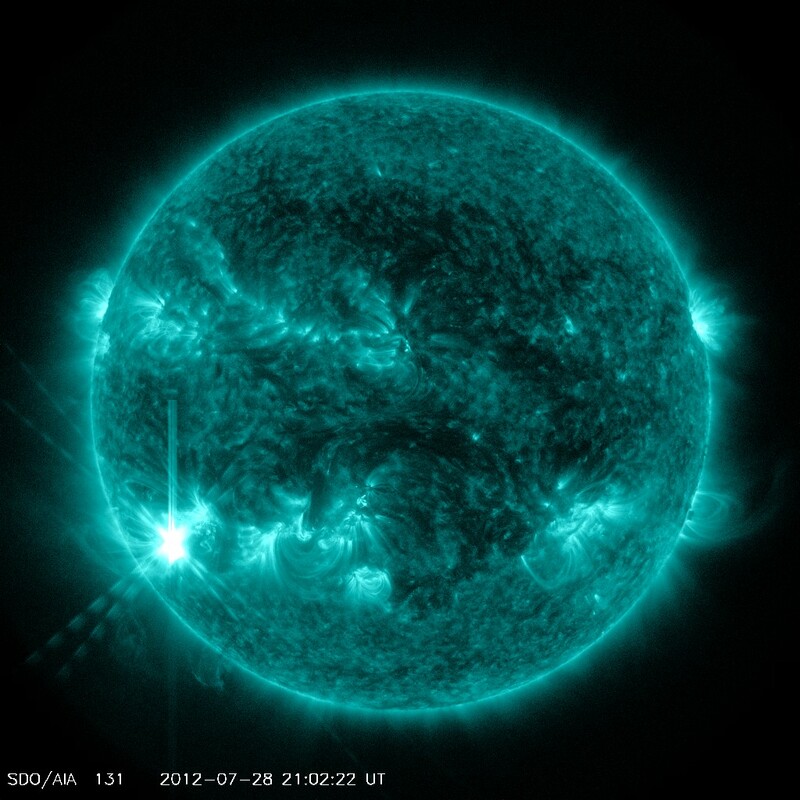 Solar wind, chance of flares, Auroral oval, electromagnetic flux, it’s all there on spaceweather.com. I’m not bothered in the slightest that my inability to sleep until checking in, borders on compulsion. Anyone who has witnessed the Northern Lights might understand. I’ve managed to wean myself off solar alerts and warnings, checking that site out only when the Sun has been uppity. The universe is a mystery in so many ways, we are nothing more than a speck of cosmic dust, at the mercy of forces completely beyond our control. Gazing skyward unlocks your imagination, understanding those forces makes you appreciate all that you have. The solar wind is currently steady at 336 Km/second. 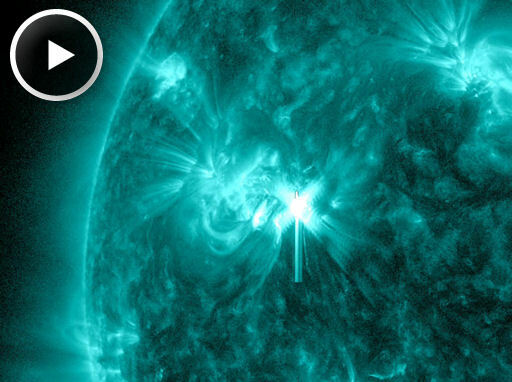 Some active sunspots have kicked up a fuss, throwing off flares. Not to worry they’re on the far side of the sun and not Earth directed. In a few days they will be facing Earth, no telling how active they will be. 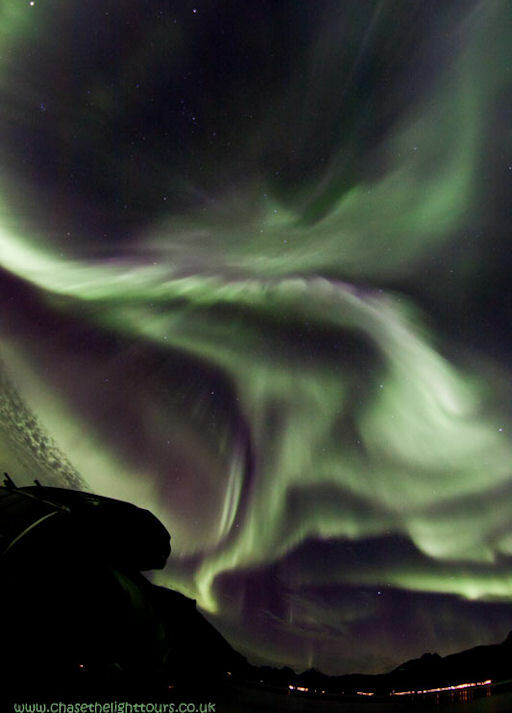 For reasons not understood by science, around the Equinox Auroras become particularly intense. As of today there are 1331 near Earth asteroids, none on the PHA (potentially hazardous asteroid) list, so no collisions looming. 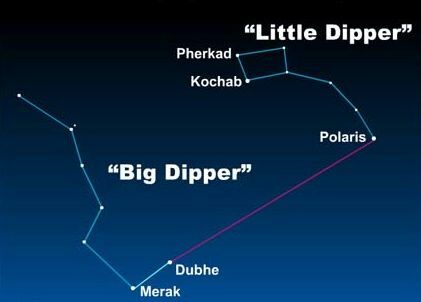 A near earth asteroid is anything 100 Lunar Distance (the distance from earth to the moon) or less. The closest one, 2010JK1, will pass by on Nov. 25 a mere 56 metres and 9.3 Lunar Distance.